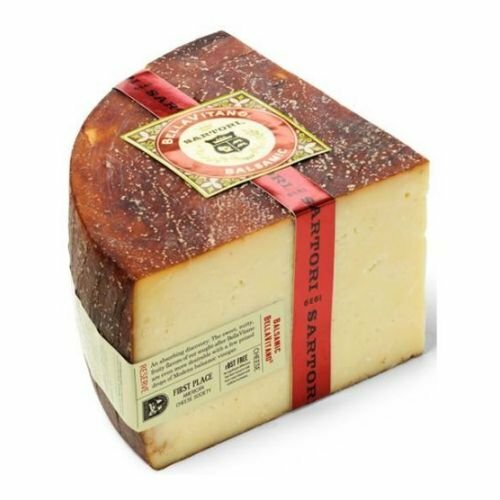 Sartori Reserve Balsamic Bellavitano Cheese, 5 Pound -- 4 per case. An absorbing Sartori discovery The sweet, nutty, fruity flavors of our most-sought-after BellaVitano become even more desirable when blessed with a few prized drops of Modena balsamic vinegar. By gently bathing BellaVitano Gold in balsamic, cheesemaker Mike Matucheski has given it a sweet coating that burnishes the legend of BellaVitano with yet another honor from the World Cheese Awards.